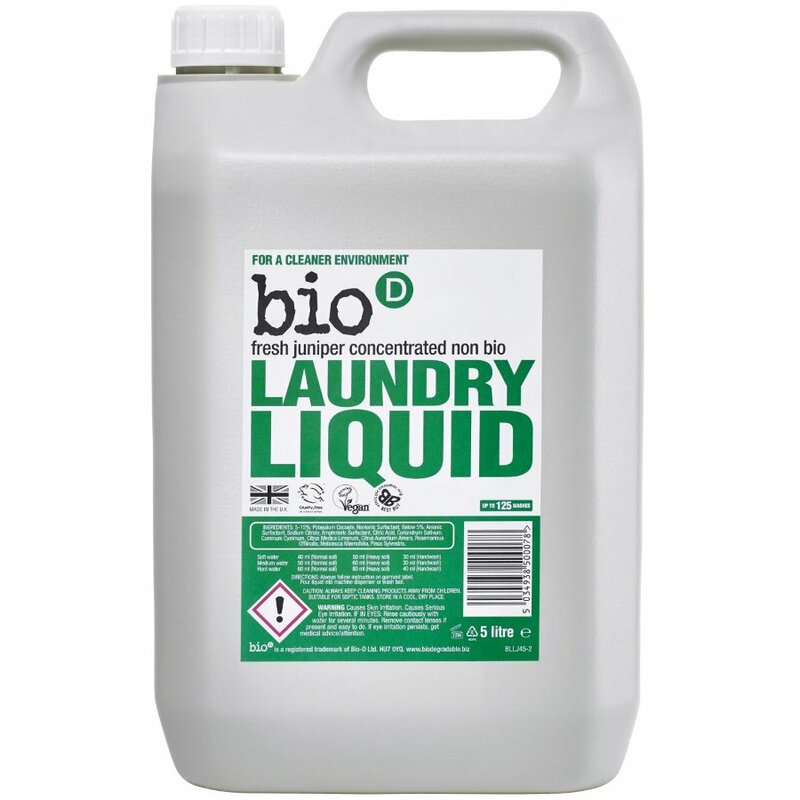 This organic non-biological and concentrated Laundry Liquid features the dynamic and rich fragrance of fresh juniper mixed with seaweed, and is suitable for sensitive skin as it is Allergy UK Certified. It mixes instantly and can be used in hot or cool water. Perfect for delicate fabrics, it is also suitable for septic tanks and cess pits, features recycled and recyclable packaging and is readily biodegradable. Contains no optical brighteners. Cruelty Free International and UK made. 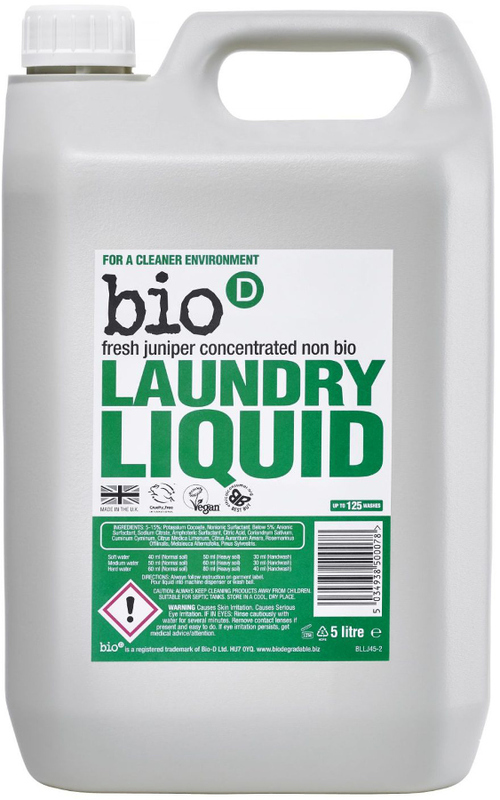 There are currently no questions to display about Bio D Concentrated Non-Bio Laundry Liquid - Fresh Juniper - 5L - 125 Washes.